Every organization’s success is dependent upon its growth. There are many qualified people in an organization who know exactly where they’d like the business to go but no idea of how to start explaining how the organization will get there. Once they do have an overview of the plan, the next step is to present a thought out business presentation. 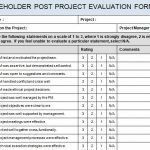 The Project Proposal Template is a great way at organizing and showing that plan. 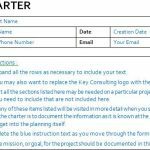 The Project Proposal Template is an easy template to complete. 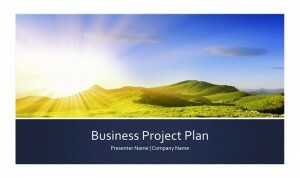 It’s laid out for you and is a free and customizable business project plan in PowerPoint. You can download it right now from this site and start updating it for your organizations use. The first slide is your business project plan opening. Here you will update the presenter’s and company name. The Project Description briefly describes your project. The Project Scope slide is a brief overview of the purpose and necessary requirements to complete the project. Next, you will go deeper into your objectives: Technical, Scheduling, Cost, and Special. The Deliverables are what you will exactly produce in terms of product and services. Success Factors are a measurement of what it takes for your project to be successful. The next slide allows a representation of your Project Team. Indicate their name, role and responsibilities. Next, you’ll define your implementation steps. Your Resources slide is a collaboration of people, places, and things needed for your project to be successful. The next slide is the cost analysis. This summarizes the benefits of the project and deducts the costs. It’s usually calculated in a spreadsheet and displayed in a graph for easier interpretation. Your Project Schedule and Milestones slide indicates each phase completion date. Your Risk Management Plan discusses the risks and their impact on the plan. It also shows how the responsible person will carry out action. The Quality Management and Performance Measures describe the quality plans and how the costs and schedules will be monitored. 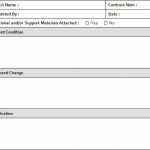 Finally, your Appendix is a reference to other materials used during your presentation such as the spreadsheet information for the Cost Analysis. You can change the background at any time and input the picture of your future project, should it be a groundbreaking picture, your logo, or the proposed building to purchase. The project team role slide can be altered to include your team’s picture. The Project Proposal Template found here will help you organize your business project plan in no time.